EDIT 11/3/2014: You can download the schedule by clicking HERE. Also, it has been proven that the software is smarter than I am, and it fighting me on getting it to display properly on the website, so that is not yet done. If I don't get the electronics version fixed before then, I will bring a print out of the seasons schedule to Curling on Sunday night. I have the league schedule completely done. You can view it by clicking the link at the bottom. However, it is hard to read. I was completely done, and then I had a bit of a crash, and now I have to re-Enter all of the data to make it much easier to read. In the mean time, here is the schedule for the first week. The next chance for you to try the "hottest game on ice" will be Sunday December 7th, 2014. 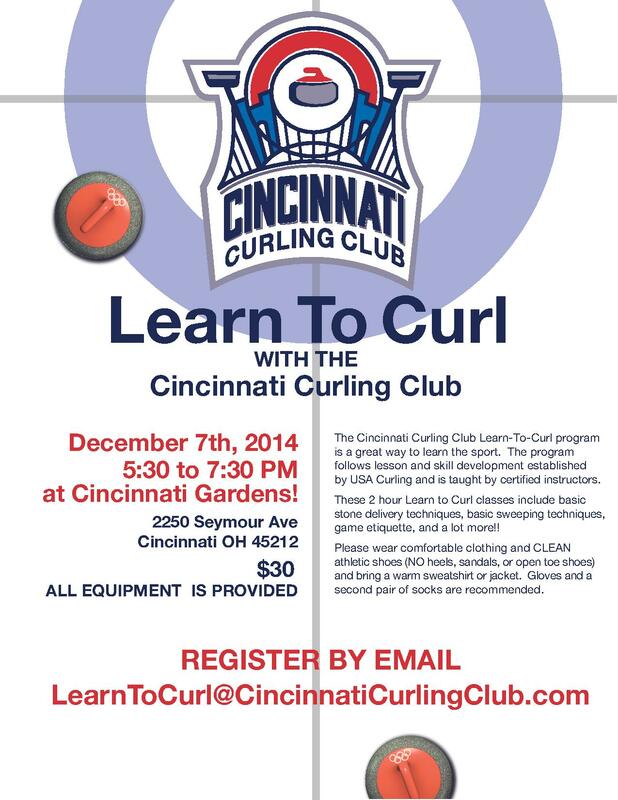 Register by emailing us at LearnToCurl@CincinnatiCurlingClub.com. More details are on our flyer. We are going to be purchasing some equipment from Steve's Curling Supplies, if you'd like to save some shipping let us know what you'd like to get and we'll get it combined with our order. Right now I'm thinking that we need the orders placed by 15-Oct-2014. Please email us with your request at info@cincinnaticurlingclub.com. They are offering a package deal of Ultima Sport shoe, gripper and Tournament Performance Brush for $199! http://www.cincinnaticurlingclub.com/cccdev/wp-content/uploads/2015/07/CCClogowithlinetransparentsmall-276x300.png 0 0 Jonathan Penney http://www.cincinnaticurlingclub.com/cccdev/wp-content/uploads/2015/07/CCClogowithlinetransparentsmall-276x300.png Jonathan Penney2014-10-06 11:05:472014-10-06 12:34:33Do You Need Equipment?